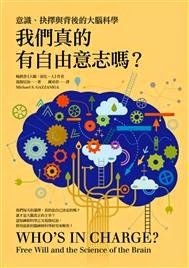 這是很頭痛的哲學問題，導致好像變成怪人才有興趣的話題，像是影集True Detective裡面Rust(馬修麥康納飾)整天講些莫名其妙的話："I think human consciousness was a tragic misstep in evolution. We became too self-aware... We are creatures that should not exist by natural law... We are things that labor under the illusion of having a self. This accretion of sensory experience and feeling, programmed with total assureance that we are each somebody when, in fact, everybody is nobody."